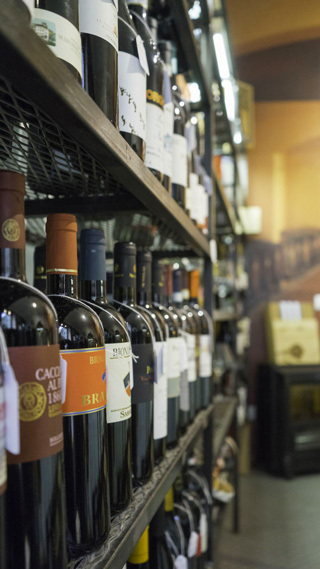 With a wine list ranging around 120 varieties in the catalogue, the Oca Bianca Restaurant is a place where wine is not just to savour, but a world to know and love: the most representative symbol of our country. From the refreshing local whites ideal with pasta dishes with aromatic sauces and soups, such as Pigato and Vermentino, our list extends throughout Italy: from Lagrein in Trentino to Zibibbo in Sicily, either young or vintage there is an available selection of all the main wine-growing areas of our country. A Particular mention should be made for Piedmont and Tuscany, giving birth to the best red wines full of flavour and nuances most suitable for a meat cuisine. Barolo and Barbaresco on one side, Chianti and Montepulciano on the other are in fact the most loved by our customers, to whom we also want to point out our “bubbles”. First of all, the famous “Abissi Brut” bottles signed by Bisson, in Chiavari.